I am really excited to share with you, dear readers, what I have been working on the last couple of weeks. 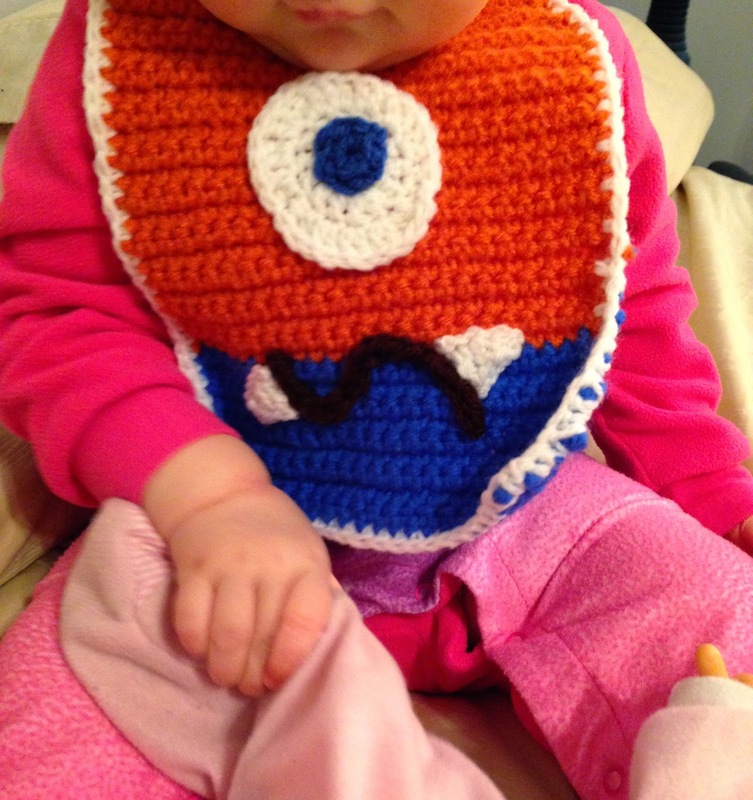 Monster Drool Bibs! With a teething baby who drools on everything & Halloween on it's way - these bibs are a wonderful way to solve a gross mess & celebrate the season. 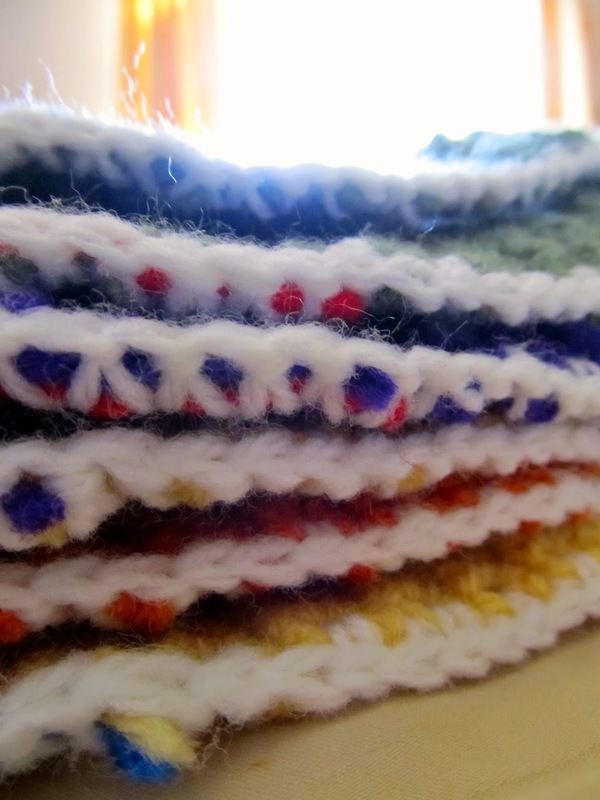 With a lot of trial & error, I am so pleased that these are finished. I have to say that my favourite part was making all of the faces. I just made a bunch of eyes and teeth & played around until an adorable a scary face was staring back at me. The buttons for around the neck are crocheted, as Bug loves putting things into her mouth & the idea of buttons popping off and being choked on sends a shiver down my spine. Each eye, mouth, and tooth are sewn in with care, and gosh, I just love them so. Of course, my little, teething 'monster' had to come and play with the bibs. She loves the way the yarn feels. What do you guys think of them? These bibs are recommended for drool only as some food will stick into the stitches.